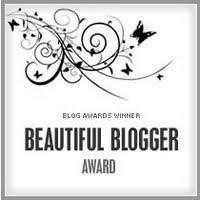 Miller Moments surprised me today with awarding me the Beautiful Blogger award! As I am very new to the entire blogging world, I have just discovered hers, but I am enjoying going back and reading old posts to see some of the neat things they've done! Thank you so much Miller Moments! I love your blog, too! Thank & link to the person that gave you the award. 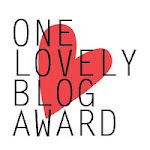 Pass this award onto 15 bloggers you have discovered & think are fantastic. Contact said Blogs & let them know they've won. 1. I teach Pre-K in a state funded program open to every four year old in the state of Georgia. I have taught and worked with children for about 18 years now. 2. I have been blogging since January and am in awe of some of the fantastic places I go and people I am meeting in the blogging world! 3. I have been married to my great husband for 21 years (and we were together for 5 years before that)! 4. I have two beautiful daughters, ages 19 and 12. 5. I am the mother of an autistic child and support/participate in many of the autism awareness groups. 6. I have a great big family of a brother and 6+ sisters (15 nieces and nephews) .....and we all get along!! 7. I think I have ABSOLUTELY the best job in the world. I may not get paid much, but the fringe benefits are AWESOME! Where else can you go to work each day and dance, do art, play games, have snack and get hugs regularly AND get paid for it? PRE-K ROCKS!!!! Okay, now you know more about me than you probably will ever want to! 1. Excellence in Early Childhood Education. 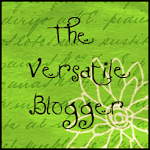 One of the first blogs I discovered as I entered into the blogging world. Deborah Stewart is truly inspirational! 2. Teacher Tom. Also one of my first discoveries, I have to see what he is up to daily. Our schools are so different, yet our teaching styles and philosophies are similar. Another inspiration! 3. Look At My Happy Rainbow. Definitely my feel good site everyday! I love to hear what his kindergarteners are up to. 4. Getting Messy With Ms. Jessi. I love, love, love all the things Ms. Jessi does! 5. Preschool Daze. I love to see what going on in this class! 6. Pocketful of Posies. There are lots of great ideas here---be sure to check it out! 7. Paint Cut Paste. There are some wonderful art ideas here! 8. Little FingersThat Play. Deborah Stewart is not just an amazing educator, she is a fantastic songwriter, as well.! Great little songs anyone can sing! 9. Brick By Brick. 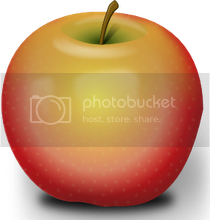 A fantastic blog about teaching preschool. 10. Room to Grow: Making Early Childhood Count! I love this blog about early childhood literacy! 11. Centers and Circle Time. I follow via blog and Facebook. 12. Kat's World. Find out what is going on in Kat's world! 13. PreKinders. 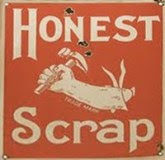 Great blog and now they have a forum for discussions, as well! 14.Once Upon a Day in Preschool. Lots of fun and learning going on! 15.Kindergarten's 3 R's. Great blog! Thanks to you all for your inspiration! Aw Ayn. Thanks! I'm so glad we've connected. I agree, we have a lot in common as teachers. Ayn, thanks so much! What a treat to be included in your great list! thank you so much, ayn! 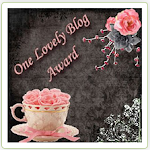 i'm honored, and i've linked to you on my blog and nominated 15 other amazing ones! i'm excited to read more of your blog... hooray for the blogging community! many blessings and happy valentine's weekend! Thanks, Ayn! I feel so fortunate to be included in such inspiring company. I'm excited to learn more from you in the days ahead. You do have a beautiful blog! Thanks for your comments on my blog! I'm glad you found me, so I could find you. I'm now a follower! Fun to learn a little bit about you! A Visit From The Tooth Fairy ! Abe Lincoln Was His Name-O! What Are You Reading Now? Books about writing! I need a little peace and quiet, please!